Since the industrial revolution, we have been aware of the power and benefits it brings. With the development of the whole society, we can’t ignore the fact that industry tries to improve our life. With the blooming of the industry, some complex conditions such as high pressure, low temperature and radioactivity occur. Fortunately, we can use some mechanical machines to do such kinds of jobs to avoid the potential personal damages. During the industrial process, valves are widely used to control the flow capacity, temperature and pressure and so on of the liquids. Solenoid valve is one of the particular ones. XHnotion Pneumatic valves are electromechanical valves. This is to mean that the valve is activated by the working of the solenoid. And for the solenoid itself, the significant part is the solenoid coil . The wire would be magnetized when the power passes through it and then motivation is gotten. Other cooperating parts are the electrical connector, bonnet nut, seal cartridge, O-rings, end connector, body and union nut. These valves are divided into general-purpose type, low-pressure and the high-pressure steam type and some special purpose. There are air solenoid valve , water solenoid valve, diesel solenoid valve for different medium. On choosing the proper valve, we had better remember our principle is to select a valve with industrial competence and economical benefits. We should take a careful consideration of the types of the thermal motor, the required precision, the pressure, the flow capacity and the failure rate and so on. To buy a quality valve at an agreeable price is appreciated. The valves are electromechanical that’s they are controlled by stopping or running an electrical current through a solenoid, to change the state of the valve. They are composed of several parts such as the solenoid coil, electrical connector, bonnet nut, seal cartridge, O-rings, end connector, body and union nut. All these components are critical to the overall performance of solenoid valves. If any malfunction, it will affect the entire operation of the automotive starter system, as well as the industrial air hammer and the electric bell assembly. That is why this should always be maintained and regularly checked to keep the solenoid valves functioning at their best. But just like any other parts of the starter system, air hammer, and electric bell, the valve can be destroyed after some period. Thus, a replacement solenoid valve will be needed. It’s a good thing that many dealers offer quality solenoid valves at affordable prices. When selecting a solenoid valve, be sure to check the valve type, aperture size, pressure rating, coil voltage and type of connection to each port. There are certain types which are used for industrial applications. For example, the plastic solenoid valve is used to control the flow of water, solvents, acids, gasses, caustics, gasses, oils and other substances and this is why it is usually used in high humidity industrial applications. A plastic solenoid valve’ s body is usually made of PVC or natural polypropylene. But these valves can also be used for garden watering systems, irrigation systems and also for the washing machine or other home appliances. Usually, we can use it for almost all the water controlling applications because it is made of plastic and it does not rust. Air solenoid valves are usually used for limiting, shutting off, securing and releasing the air supply. 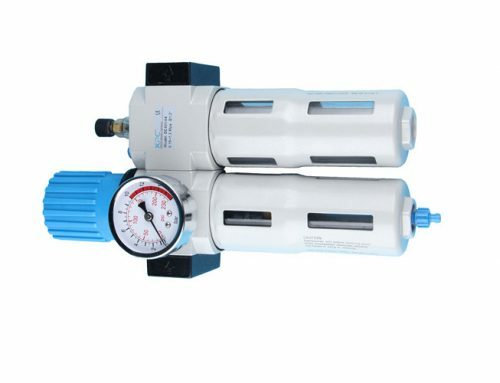 Most of the air solenoid valves are used for automatic control of air pressure. There are many manufacturers who have their websites where you can find all the products you need, with all the specifications and the features that you need to know. You will also find photos of all the products, and this will help you see if a certain product is the right one for you. Before choosing the manufacturer to be sure that he is offering all the services and warranties that you need. The valves make use of electricity to control the rate and flow of fluids in various types of systems and machines. Electrical energy flows into a solenoid coil which results in the creation of a magnetic field that opens a plunger to allow gas and other liquids to flow through. When the electricity is shut off, the valve closes. They are used in many different industries and a wide array of machines and processes. They are used in linear as well as rotary applications to control fluid power motors, cylinders and other types of industrial processes. Some of the major industries that use solenoids include the dental, appliance, energy, medical and transportation industries. Linear applications include the use of solenoids in brakes, vending machines, door locks, copiers, coin changers, pumps, disc drive locks, film processors and electric typewriters. Rotary solenoid applications include circuit breakers, counters, defibrillators, machine tools, and textile machinery. Solenoid valves can be found in dishwashers and washing machines where they control the flow of water. In dentist chairs they control both water and air flow. In other words, solenoids are part of our everyday life without us even knowing it. The use of solenoids are so beneficial in a wide variety of machines and industries because of their reliability, cost effectiveness and longevity. There are also several different kinds of these valves to meet various specific needs of industry. Solenoid valves are either direct-acting or pilot-operated valves. They also come with two or more ports. Direct-acting solenoid valves are most often used for controlling low volume valves. This is because they contain just one electromechanical control set. Pilot-operated valves are comprised of a combination of valves, making it possible to use them in higher volume applications. The use of solenoids offers several important benefits, especially compared with other types of hydraulic and pneumatic designs. Solenoids typically operate faster and tend to be easier to install as well as maintain. In general, solenoids also offer more consistent electromechanical force over a long period of time. They are also offering reliable performance. In summary, solenoids offer the benefits of longevity, reliability, speed and ease of installation and maintenance compared to other types of industrial designs. They also tend to be quite affordable. 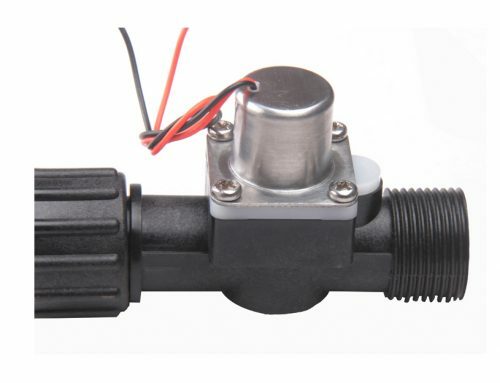 If you are interested in XHnotion Pneumatic solenoid valve either water or air solenoid valves, you should know that you can find them on the Internet on certain websites. Before buying one, try to compare all the products that you find to find the right one for you. – the ideal temperature of the environment; if it needs lubrication or not. These are a few things you should search for before deciding which product is the best for you. It makes sense why people would use solenoids. Things that operate faster and have easier installation are quite beneficial. I imagine that helps improve performance levels.